Freddie the Frog is Hungry is a simple children’s e-book that can be used to target many areas that we cover during speech therapy. The great part of e-books is that they are usually significantly cheaper than their paper counterparts. This version is only $0.99. You can download (for free) the Kindle app for PC, Android, or IPAD. Once you have read the book with your kiddos, you can use information from the story to target skills like story recall by choosing the things that Freddie ate and the things that he did not eat. 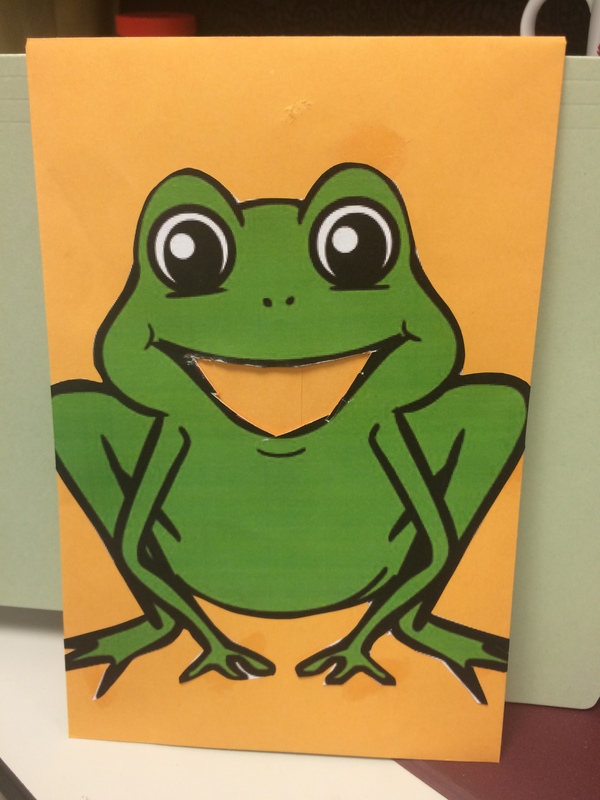 They can even feed Freddie if you glue a frog picture to a manila envelope and cut out a mouth. Share how you would expand on the frog theme in the comments below. Everyone who shares will be entered in a drawing to win the materials above (minus the oriental trading items) printed, cut out, glued and ready to go! I will also ‘loan’ you the book through Kindle. I have a BINGO dot frog activity that I could incorporate with the frog theme. I just use it as a general reinforce for all of my different kids. Take a turn, put a dot on your picture.